How to prepare bio spelt wheatgrass juice. Good work takes time, and this is true in this case, too. You need time to get the necessary experience and for the wheatgrass to grow as well. In both cases attention, patience, precision and a hundred percent presence is essential. Result can be expected only then. For the first time it does not seem too complicated, moreover, it looks simple. Well, it is and it is not, too. To reach the point where the necessary technological and agricultural knowledge is at the level needed, a lot of patience, perseverance, discipline and accuracy is required. And lots and lots of practice, usually several years of experience. Because someone can shoe a horse after good observation, but he won,t be immediately a farrier. And you,d better don,t ask that poor horse about the first result... It,s similar with the agriculture as well. In this case not just potatoes must be produced, although that also has its pitfalls. The answer to the ,how, question - as all of my answers and stance in this matter - will reflect my near-natural point of view. It is important to make it clear, that I,m a person of natural things, and with the wheatgrass I do not know any compromise, for me only organic wheatgrass is acceptable. It starts with the searching for natural land (yes, not bagged, no additives, not artificially manipulated soil) - so we go outside and find the clean undisturbed soil. In my case it was an orchard with a lot of unused grassy area (not "noble" grass, think about weed). Here has never been any kind of agricultural production, this area has never seen the chemicals, fertilizers. 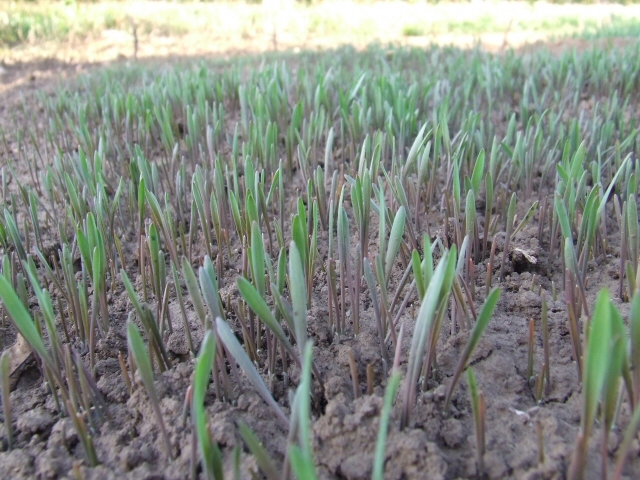 I spent a lot of work until the offshoots of weed have been cleaned out under the ground with ploughing, but after that spelt did the rest: where spelt is sown, weed will not live there anymore. Such a miracle of nature cannot be imitated with chemicals. And there is no need for them. 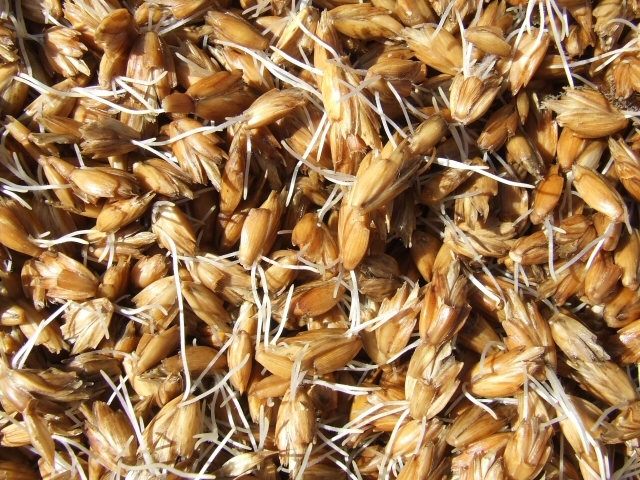 Well, continuing with the spirit of naturalness, need to find a certified organic seed producer, than to germinate it, raise it, care for it, harvest it, juice it, freeze it and drink it. Easy isn,t it? With a little more detail: only outdoors is acceptable, where,s breeze, sun, natural tempearture variation, rain - just the way how and why this marvelous plant progressed to its present condition. No one should think that anyone could do better than nature. 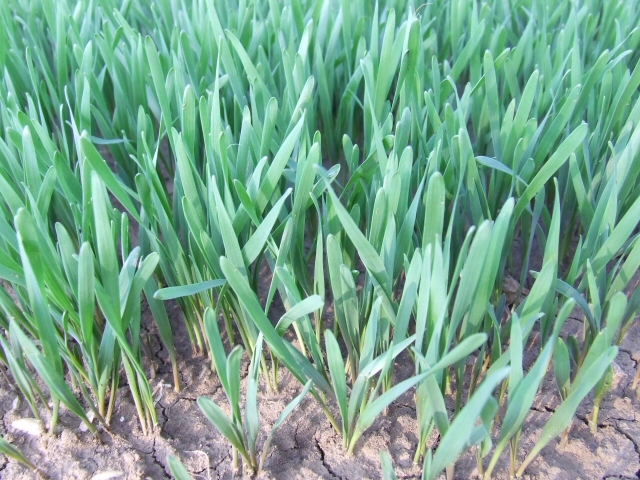 The non-naturally grown wheat grass simply will not contain the substances which we like it for or not that much, not in the same percentage. It is easy to see. As a crisp eater, pale and weak "flat child" can,t be compared to one, who is chasing goose in the fields every day and is healthy for good air and exercise. Well, that poor indoor wheat will not make any miracles, grown with artificial light and tap water. It will grow tall looking for sunlight, but will be weak and almost seethrough without any content. Well certainly not the same. Click here to zoom the picture and see how remarkably vigorous and fleshy, much promising and desirable is the wheatgrass, which I produce, as the nature of the Almighty Creator has created! I guess you do not even need further details, the pictures speak for themselves.